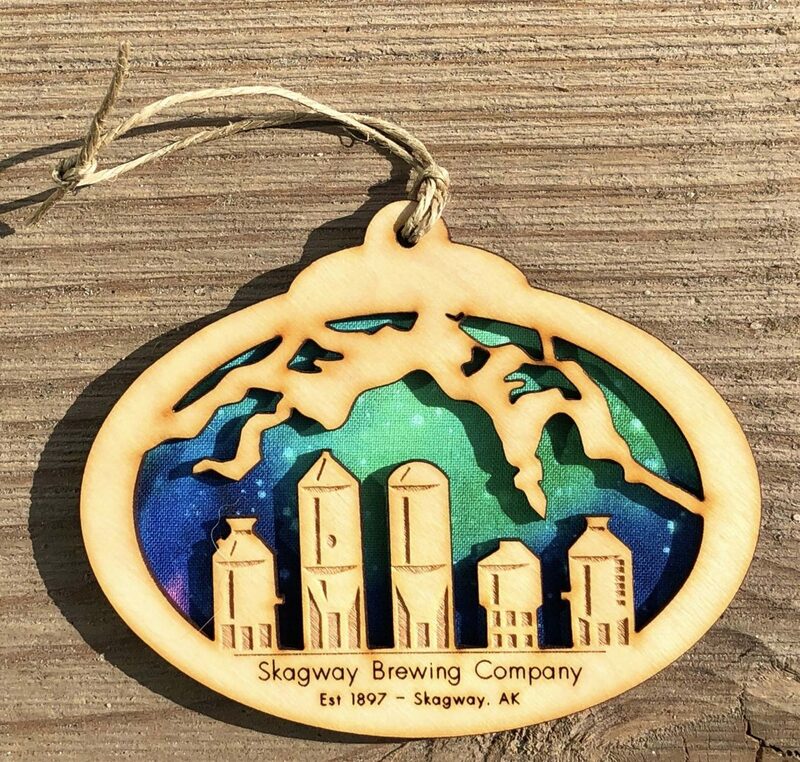 Skagway Brewing wooden ornament with northern lights fabric. Approximately 4.5″ in size. *Please note that fabric colors vary with each ornament.